If you need a different size, shape or design please contact us, we can make what you need, no problema. 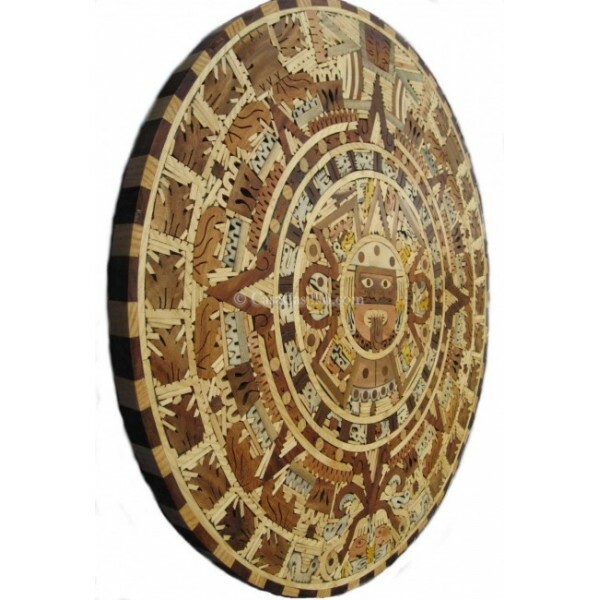 Michoacan is a state of Artisans, specially in wood Art. Finding the right skilled artisan is not easy job, so I'm glad to have found Mr. Moises Vargas, he is a humble Artisan but his skills are impressive, lots of patience and passion you will surely appreciate in this calendar. Enjoy and thank you in the name of Mr. Vargas and his family, you are supporting him and keeping his ancient tradition alive. Moises Vargas comes from a family with generations of artisan experience. He lives and has his workshop in Patzcuaro which is a cultural and artisan center for the State of Michoacan, Mexico. The original name was "Tzacapu-ansucutinpatzcuaro" that is translated as "door to heaven". Michoacan's countryside is a vast expanse of rolling hills, deep lakes, winding rivers and green valleys. Patzcuaro is found on hills above one of the lakes; Lake Patzcuaro. Rich soil supports lush jungle-like vegetation, with spectacular mountain landscapes, and velveteen pasturelands. Its pace is leisurely, its people friendly, and its Spanish colonial and indigenous heritage rich. Each of the calendars and their complex details carved and created by hand from solid pieces of pine wood. - If you have a big order we can ship by truck or ocean freight, for a cheaper option for your high quantity order. Please contact us to request a shipping quote for this option. 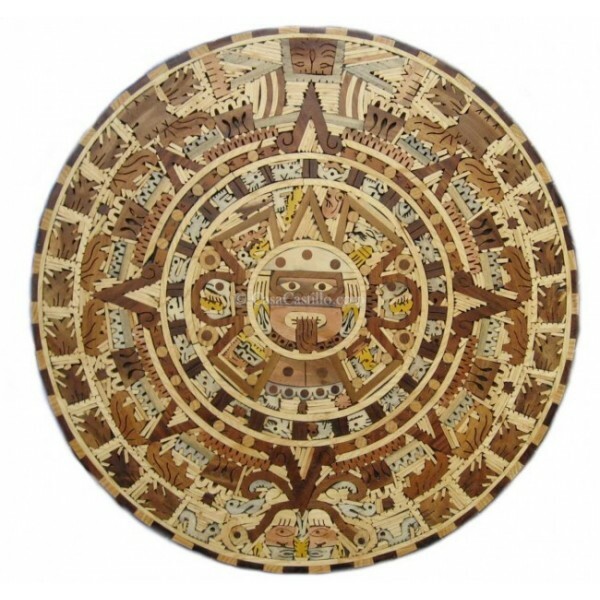 How do I take care of my Mexican Aztec Calendar? The Calendar is already covered with a protective clear layer, so the only care you need to do to clean it and keep it shine is to to apply a small layer of wood furniture oil, you can get it at any home hardware store. Also try to keep it dry by clean it in case any moisture is on the wall or on your table.